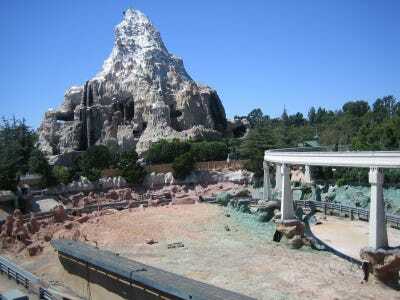 Over 60 years ago, Disneyland opened in Anaheim, California. In the decades since, Walt Disney’s original theme park vision has undergone changes both big and small. Rides, attractions, and entire swaths of land have sometimes been overhauled or torn down to make way for modern amusements. 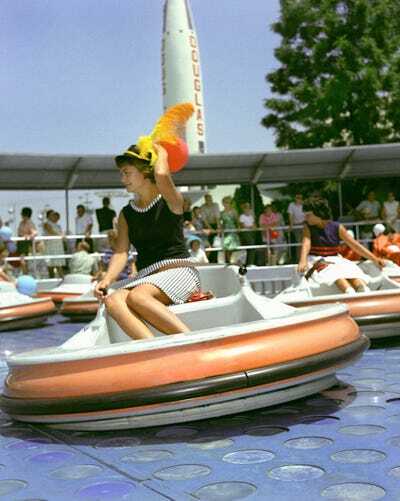 The Flying Saucers ride was basically like a giant air hockey board, but with bumper car 'saucers.' 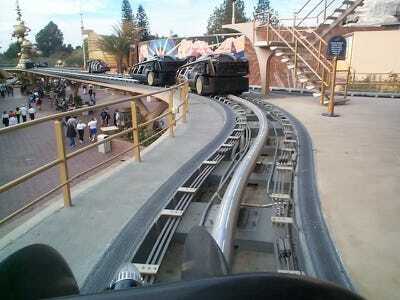 Air from the circles on the ride's floor would push up the saucers, creating a floating effect. 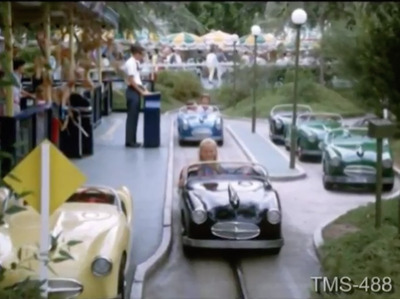 Thanks to the official Disney Parks blog, you can watch the Flying Saucers in action on the ride's opening day in 1961. 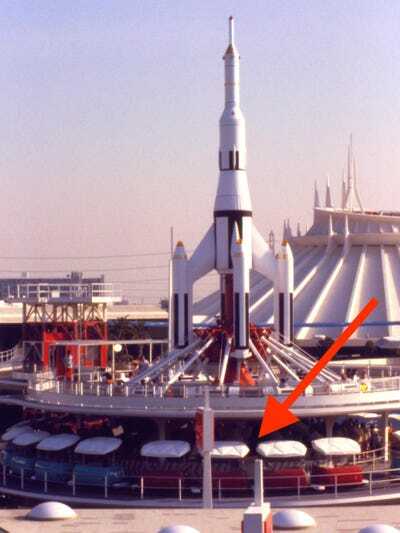 According to the blog, the Flying Saucers were built in the spot where Space Mountain is now. 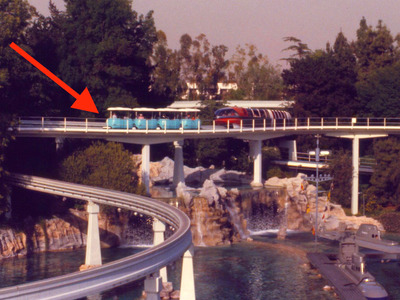 Many who visited Disneyland in its earlier years will remember the PeopleMover -- a train ride that ran along an elevated track. 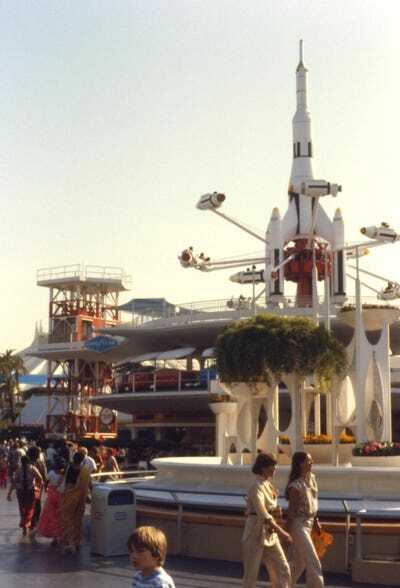 First built in 1961, the ride was a great way to relax and enjoy a unique view of Tomorrowland. 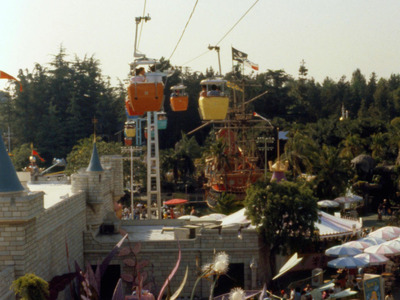 Though a version of this ride still exists in Disney World, the original California park version was retired in 1995. The Skyway opened in 1956. 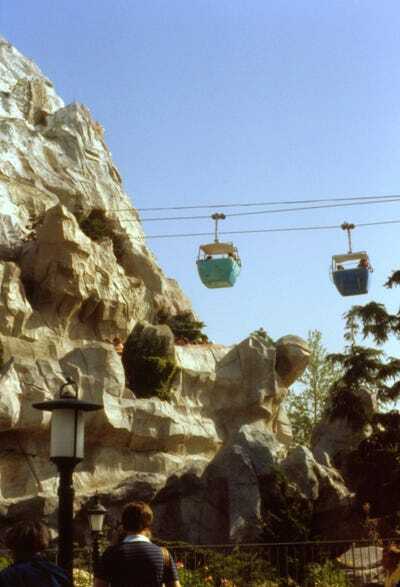 It was a gondola ride that transported people from Tomorrowland to Fantasyland and back. The colourful buckets were suspended from cables swinging high above the pedestrian paths. 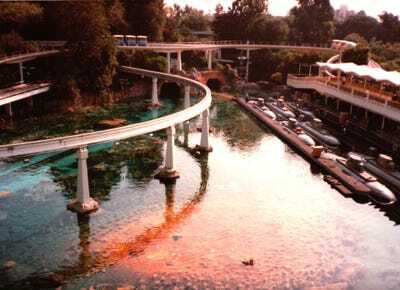 One of the most scenic areas of Disneyland was always the blue lagoon which held the Submarine Voyage ride. Guests entered the submarine at a docking station, and then looked out of circular windows as the sub made its way around a track. The Submarine Voyage was closed in 1998 after surveys indicated that parkgoers wanted something 'more exciting,' according to the Los Angeles Times. Honey, I Shrunk the Audience! was a 3D theatre adventure. Based on the movie 'Honey, I Shrunk the Kids,' this attraction was a popular addition to Disneyland. It replaced 'Captain EO' -- a 3D sci-fi movie starring Michael Jackson that had been shown in the theatre from 1986 until 1998. For Honey I Shrunk the Audience, guests donned 'safety googles' (a.k.a. 3D glasses) in order to watch an award ceremony. But a series of goofs leads to the theatre and audience being temporarily 'shrunk.' The 3D experience was open until 2010, and then the theatre went back to showing 'Captain EO' after Michael Jackson's death as a tribute to the dead pop star. But 'Captain EO' was discontinued in 2014, and now the theatre sits unused. Originally called Rocket to the Moon, Mission to Mars was rebranded in 1975 -- six years after NASA successfully put a man on the moon. 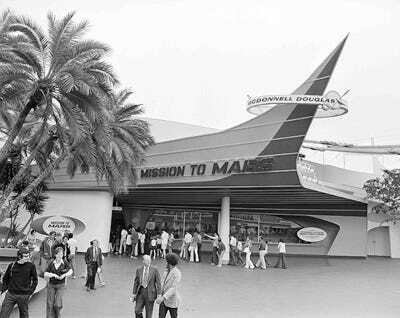 Tomorrowland needed to update its vision, and so a Mars mission was born. Visitors sat in a circular room (meant to replicate the inside of a space ship) and a projected video on the ceiling mimicked space flight. 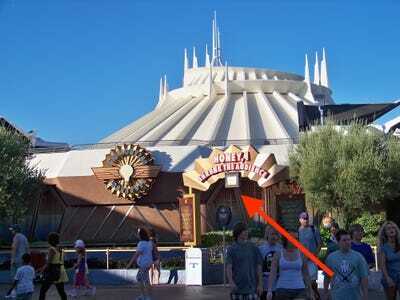 But instead of a new ride, Disneyland parkgoers received a new restaurant. 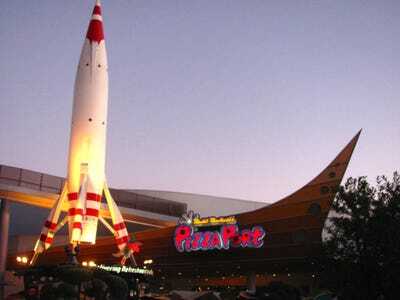 Redd Rockett's Pizza Port reused the building (and the rocket design from Rocket to the Moon) as decor. Now people often pop into the Redd Rockett's for refuelling on salads, pasta, and (of course) pizza.